Mr. Goodman frequently advises industry leaders, security executives and global policy makers on transnational cyber risk and intelligence and has operated in more than 70 countries around the world. His professional experiences include working as a street police officer, undercover investigator and counter-terrorism strategist, as well as briefing myriad cabinet ministers and heads of government, including the White House. Mr. Goodman’s current areas of research include the security implications of emerging technologies such as artificial intelligence, big data, robotics, crypto-currencies, synthetic biology, virtual reality and the Internet of Things. Mr. Goodman holds a Master of Public Administration from Harvard University and a Master of Science in the Management of Information Systems from the London School of Economics. In addition, he has served as a Fellow at Stanford University’s Center for International Security and Cooperation and is a Distinguished Visiting Scholar at Stanford’s MediaX Laboratory. He is on the advisory board of The AI Initiative, part of The Future Society at Harvard Kennedy School and a member of the World Economic Forum’s Global Future Council on International Security. 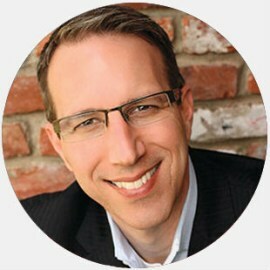 Mr. Goodman is the author of Future Crimes: Inside the Digital Underground and the Battle for Our Connected World, from Random House/Doubleday. Future Crimes is a New York Times, Wall Street Journal and USA Today Best-Seller, was selected as Amazon’s Best Business Book of 2015 and has been named one of the Washington Post’s Top Ten Best Books of 2015. Future Crimes is in its ninth printing and has been translated into 11 languages.